A fitting post for today is Ronald Lewis’s museum The House of Dance and Feathers in the Lower 9th Ward of New Orleans. The museum focuses on the cultural traditions of the Mardi Gras Indians and Social Aid and Pleasure Clubs of New Orleans. Besides that yesterday was Mardi Gras, the House of Dance and Feathers is particularly relevant to this blog because the institution in many ways represents the ultimate in public outreach or the public face of the museum experience. 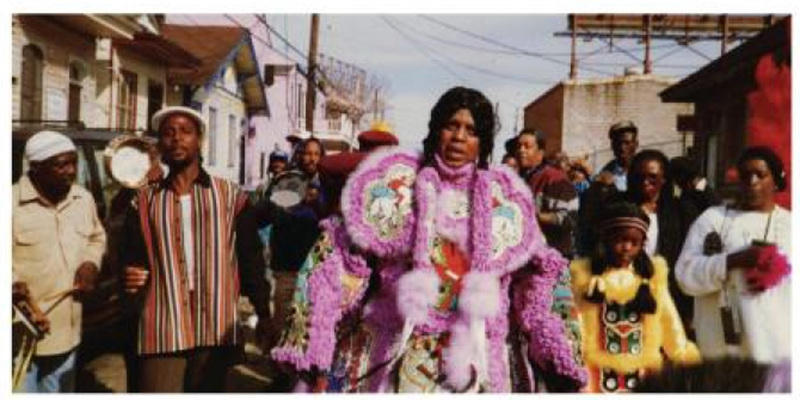 I lived in New Orleans for a few years a couple of decades ago and always thought that the Zulu Krewe represented the essence of the African-American Mardi Gras experience. Currently, there is an excellent exhibit on the Zulu Krewe in the Cabildo at Jackson Square in New Orleans. I first heard of the Museum in a presentation given by Helen Regis at the Society for Applied Anthropology Meetings last year in Santa Fe. Regis is one of the editors of the very engaging volume The House of Dance and Feathers: A Museum by Ronald W. Lewis. The book is a fantastic story and documentation of the multi-faceted potential of the museum experience. What other community museums tell these untold stories?